This spring, the college’s Gracenotes Volunteer Committee sponsored its second annual trip to New Mexico. 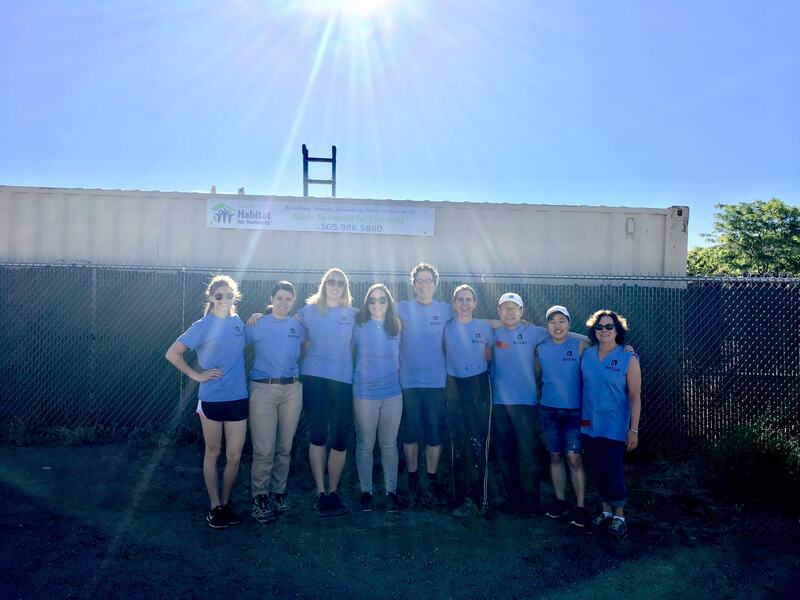 A group of nine staff and faculty members traveled to Santa Fe to work with Habitat for Humanity. 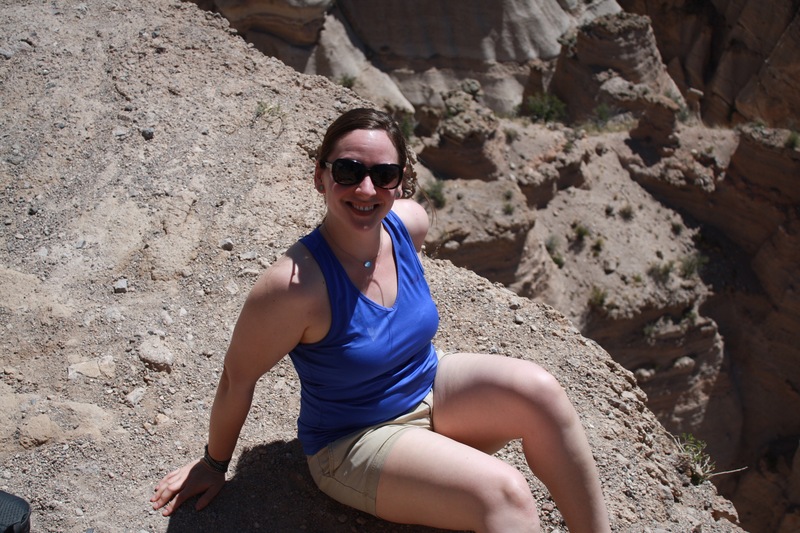 Here, one of the trip participants, Audrey Kimball, shares her experience. I applied for the Gracenotes trip because I was excited about the opportunity to work with Habitat for Humanity and because I wanted to use my strengths as a carpenter to help others. Along our trip, I was not only able to fulfill my need to help others, but I bonded with a very special, like-minded group of individuals from Berklee and the Conservatory. For the whole week we traveled everywhere together, we ate everywhere together, we shared in most of our daily activities together, and as a group we shined. Everyone had their own unique strengths that they brought with them on the trip, and these strengths allowed us to work together as a team in everything we did. We worked so well together in fact, that we were complimented by the Americorps members for how much we accomplished and how effortless we seemed as a team. That was the magic of bringing so many people together with a common goal of wanting to strengthen the Berklee/Conservatory community along with giving back to the Santa Fe community. Our nightly dinners progressed in conversation from the introductory “what is your role at the school?” to the more in detailed “what is your favorite part of working there?” As we talked more, we got to learn everyone else experiences working at the school through the lens of staff and faculty, Berklee and Conservatory, and I learned that at the root, our experiences have been very similar. We all seem to love working at a school that is rooted in the arts and we all are incredibly hard-working individuals. I would say my largest take away from this trip is that Berklee and the Conservatory are truly stronger together. The more we can continue to connect the two parts of our school, the better we’ll be for it. Having the opportunity to bond with this group was priceless. I am so grateful for the opportunity I was given to work with such a wonderful team and to give back to the Santa Fe community. Audrey Kimball is the Zack Box Technical Director for the Boston Conservatory at Berklee. She has been a part of the Conservatory for three years, helping students and faculty members through the production process in the Zack Box, with help from the Production Department and Theater Division.